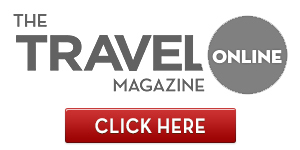 Welcome to Travel 15, one of the Northeast’s premier luxury travel companies. As a trusted luxury travel agency, our goal is to provide innovative, flexible, and competitive solutions to meet our clients’ travel needs. We are trusted advisors to travelers worldwide since 1976, attending to every detail, making certain our clients enjoy peace of mind knowing all aspects of their travel plans are taken care of. At Travel 15 we recognize that each of our clients is unique. Our customized programs, whether for business or vacation travel, are handled personally by our experienced consultants. They bring a depth of knowledge and best practices to travel planning, and they understand each client’s needs and specific travel goals. We offer a range of travel management services, specializing in personal service and providing significant savings for business travelers. As the ultimate partner for corporate travel, we have everything you need for planning, management, and procurement saving your business both time and money with end-to-end control of your program. Travel 15 custom designs corporate travel service programs to fit a company’s needs. With a global perspective, state-of-the-art technology and a focus on cost-saving options for the business traveler, we make travel procurement quick, easy and affordable. We also offer Concur online booking and comprehensive business travel management reports. We treat each business as an important account—not just a number in a global travel management company. Our leisure consultants have traveled the world. They provide first-hand experience, astute insight and the best resources to make your personal vacation a memorable one. And although we believe in good old-fashioned personal travel management service, we support smart corporate travelers with the latest innovative travel management technology. We invite you to explore our website to learn more about Travel 15 and how we can assist with all of your travel needs!